The 2017 Black Canyon 100K features a point to point course along the world class Black Canyon National Recreation Trail. Hang out after the race at the Emery Henderson Trailhead finish line for an ultra-party complete with wood fired pizza, beer, and recovery station! Join us this February for this classic Arizona foot race. The 2017 Edition will again feature a point to point 60K starting at Mayer High School and ending at the Black Canyon City Trailhead. 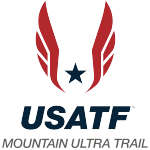 The top two (2) female and top two (2) male finishers in each individual race will automatically qualify for entry into the 2017 Western States 100 event. In the case that the first, or second place participant is already in Western States (or decides to opt out), the automatic bid will slide to third place, fourth place, and subsequently down to fifth place as needed (no places below fifth will be accepted). Runners will receive their invitation via email and have two weeks from the qualifying race to complete the registration, including paying the entry fee. There are no deferments or transfers. The Black Canyon 100K is now a 2018 Western States 100 qualifier. You must complete the entire 100K distance under 17 hours in order to be eligible for the lottery. 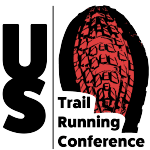 Beginning with the 2015 race, they made the qualifying standards trail 100K and 100 Mile races. 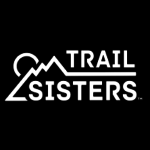 They have limited the number of qualifying races to the largest trail 100 milers domestically, and the largest 100Ks that are also of significant difficulty. Worldwide, they’ve included the largest races but also have the goal of geographic diversity so runners from anywhere in the world have an opportunity to run a qualifying race.